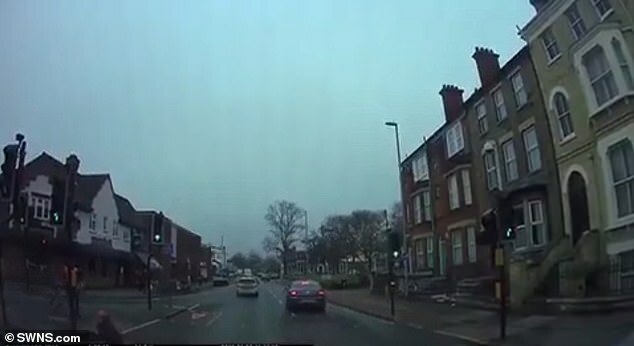 This is the moment an innocent cyclist waiting at traffic lights was hit by a ‘County lines drug dealer’ who then drove over the wrong side of the road in their haste to escape police. The drug dealer was in a stolen car and was being chased through Cambridge city centre yesterday. The car mounted a kerb during the escape attempt, which is where it knocked over the female cyclist. Thankfully, the woman was able to climb to her feet and she was later treated by police for minor injuries. 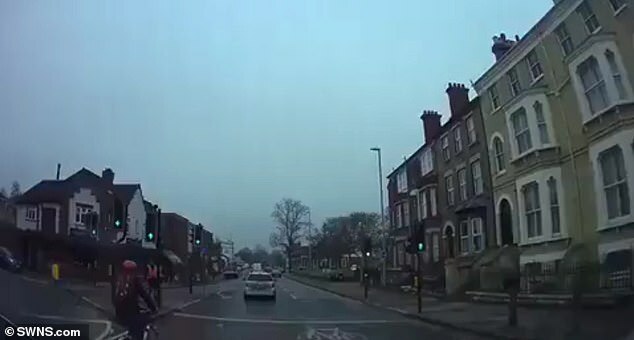 After hitting the cyclist, the driver then drove over the wrong side of the road and made their escape. Police officers began chasing the car after seeing ‘suspicious activity’ and realising that the same vehicle been involved in a spate of recent drug deals. Police confirmed that the car was stolen and had cloned licence plates. 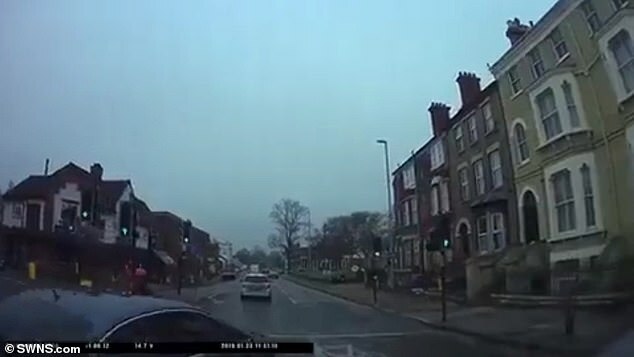 They said: ‘This is the terrifying moment that a cowardly County Lines drug dealer made off from police and struck an innocent lady waiting at traffic lights, launching her off her pedal cycle earlier. ‘He failed to stop and escaped by driving across a pedestrian area, along the wrong side of the road. ‘The car has since been confirmed to be stolen from the London area, and was on cloned number plates from Nottinghamshire. County lines gangs move their drug businesses from big cities like London or Manchester to smaller towns in order to make more money.